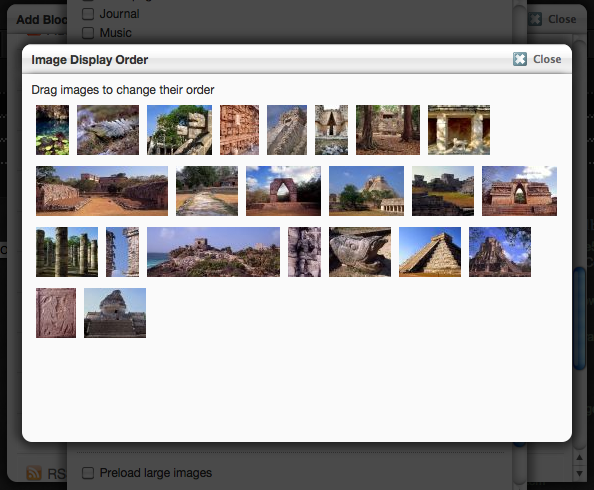 Display your set of images as a scrollable filmstrip, or with a grid of thumbs. 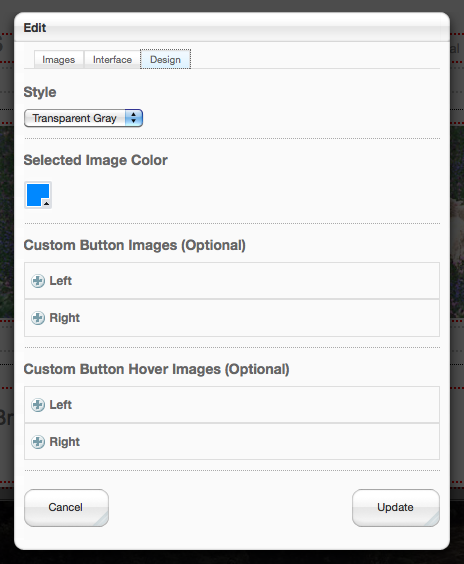 Customize your design by uploading your own buttons, choosing from one of four style, and picking a selected image highlight color. Order By any attribute, in ascending or descending order, or use a custom sequence. 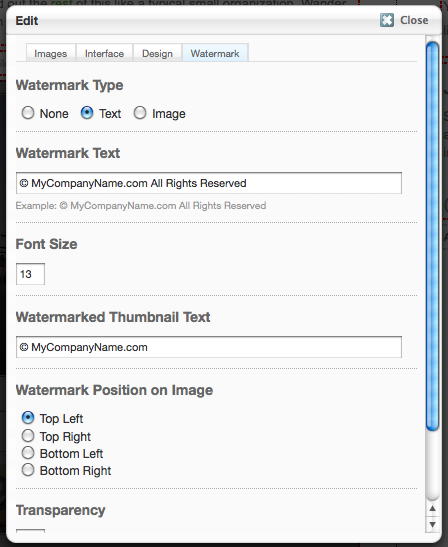 Choose which attributes (title, description, date taken, tags, camera format, etc) you want to display on the enlarged image. 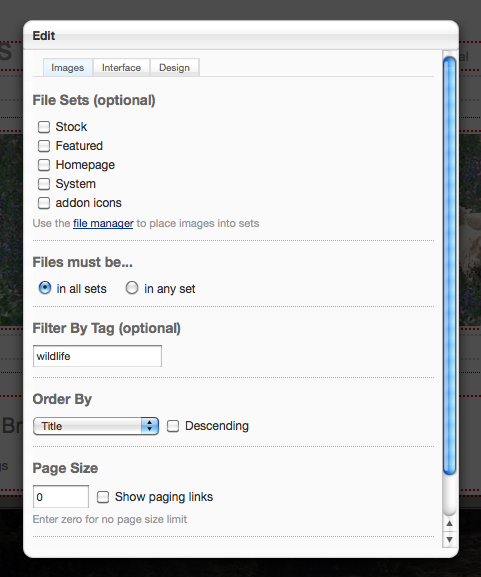 Link your images to an image detail page to help with search engine indexing, and link your image tags to an image search page (requires additional blocks, or custom coding). 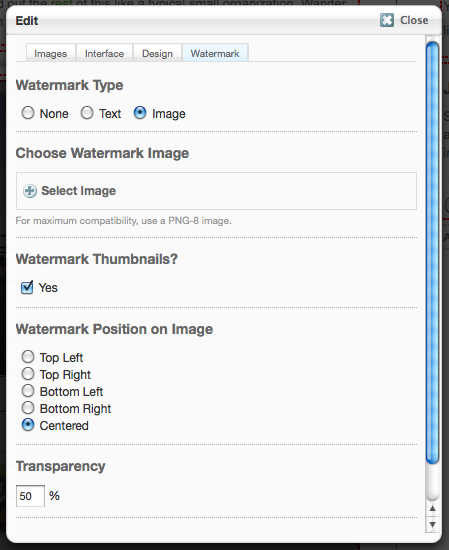 *New* - Page through images with the left and right arrow keys or by swiping on your touch device. 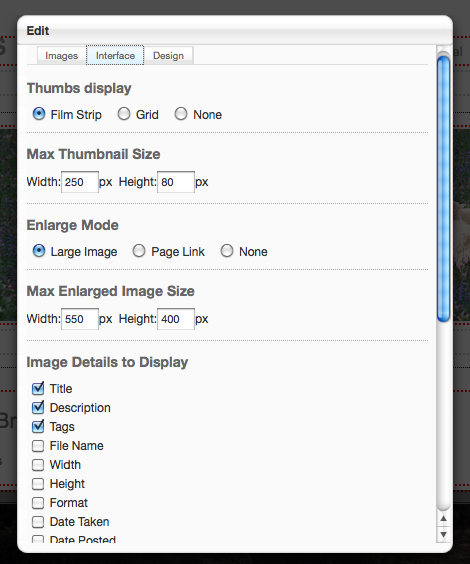 *New* - resizes down for responsive layouts. 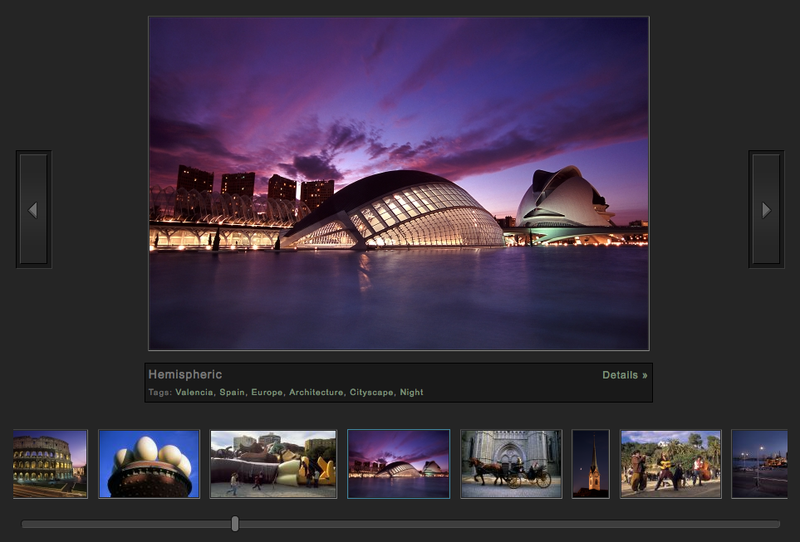 Photo/Image Gallery Package Deal: Purchase the ProPhoto block with the Billboards, Image Search, and Image/File Details blocks at at 30% discount.